Cambridge Analytica is a London based company, founded by Steve Bannon and Alexander Nix and funded by Robert Mercer. It uses big data analysis and a process called psychometric targeting to change audiences behavior. Instead of using demographics to target groups of people, Psychometrics targets individuals at a personal level by analyzing big data profiles to influence commercial outcomes as well as electoral outcomes. Author's Note: Cambridge Analytica will hereinafter be called CA, unless otherwise specified. The name Cambridge Analytica and the logo are both created by Steve Bannon. Who are the key players in the CA story and what are their roles? The remainder of this article endeavors to connect the pieces of CA from its inception to where it currently exists. While researching this information, it became apparent that each player could easily warrant their own chapter in a book. I had to restrain myself from going down a rabbit hole with each of the players. 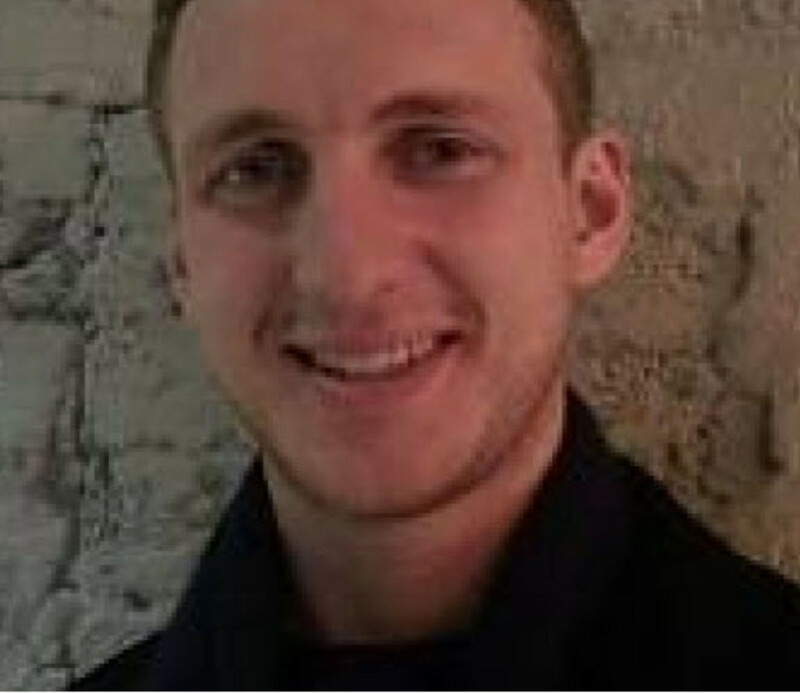 It all started when Michael Kosinski, a student in Warsaw, came to Cambridge University in England to work on his PhD involving Psychometric testing. Psychometric tests are a scientific test method used to measure individuals' mental capabilities and behavioral style. The tests are designed to measure candidates' suitability for a role based on the required personality characteristics and aptitude (or cognitive abilities). While working on the project, Kosinski partnered with David Stillwell who had developed an app called "My Personality." It used a model that was developed in the 1980s by two teams of psychologists. The model was used to assess people based on five personality traits, known as the "Big Five." The model can be described by an acronym called OCEAN. Before the internet, surveys and questionnaire had to be completed by hand on paper. But now with the internet, it is very easy to collect and analyze big data sets. Listed below are the components of the Big Five model and what they can reveal. Kosinski and his team provided test subjects with questionnaires in the form of online quizzes. From their responses, they calculated the personal Big Five values of respondents. 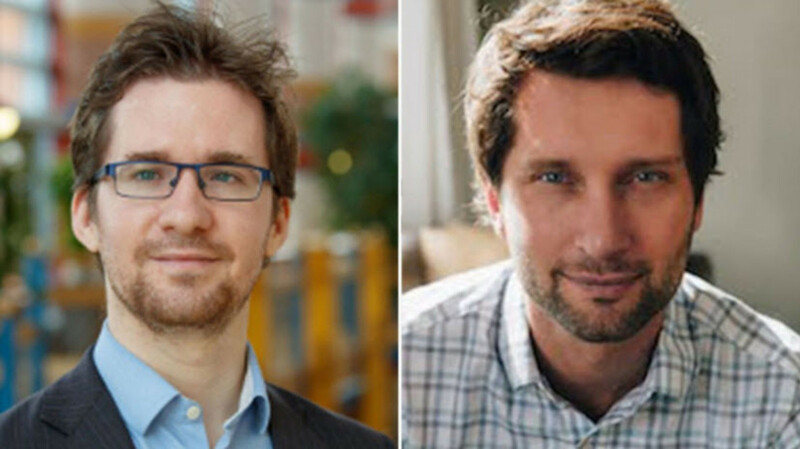 Kosinski's team compared the results with all sorts of other online data from the subjects including: what they "liked," shared or posted on Facebook, or what gender, age, place of residence they specified, thus enabling the researchers to connect the dots and make correlations with personal profiles. In 2012, they found that by just sampling 68 Facebook “likes” that people had posted, they were able to determine the following with a high degree of accuracy. But it didn't stop there. Intelligence, religious affiliation, as well as alcohol, cigarette and drug use, could all be determined. From the questionaire it was even possible to deduce whether someone's parents were divorced. In early 2014, Alexsander Kogan, a Russian - American, psychology professor in an adjacent department approached Kosinski about a British company called Strategic Communications Laboratories (SCL). He said SCL was interested in the app, "MyPersonality" but was not at liberty to reveal the purpose. But, Kogan said SCL was ready to make Kosinski a very generous offer. After doing research, Kosinski found that SCL provided marketing based on psychological modeling. One of its core focuses was influencing the outcome of elections. At that time Kosinski did not know that SCL had worked with many foreign entities and that it was the parent of a group of companies including CA in which its mission was to participate in US elections. When Kosinski and Stillwell found out, they refused to work with SCL and Kogan because they felt what they were doing was unethical, even though they were offered $500,000. In 2014, Steve Bannon was looking for a way of promoting his ant-establishment, far right, populist agenda. 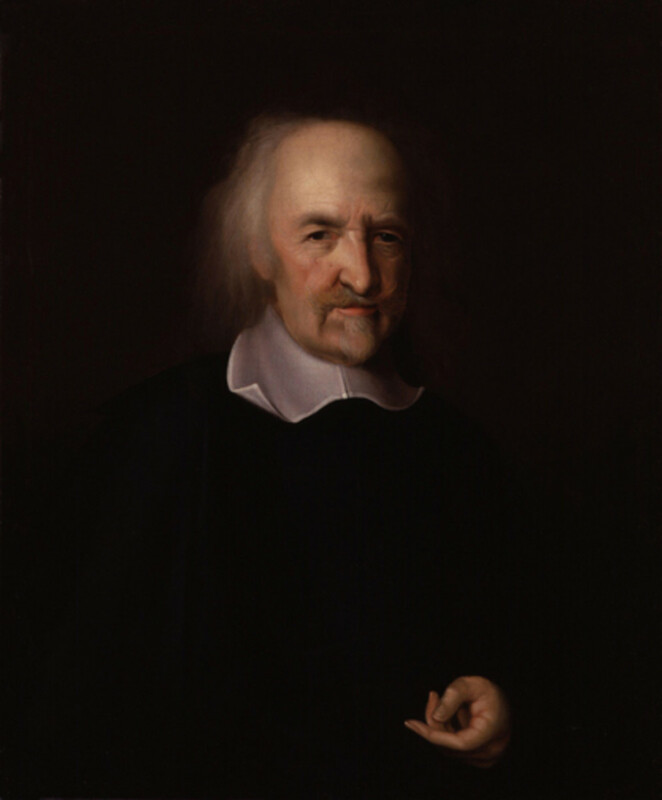 He joined forces with Nix, Kogan, and Wylie. Wylie introduced Kogan to Nix and Bannon. At the time Kogan was still working for Cambridge University as a psychology researcher and had developed an app called "thisisyourdigitallife", that was downloaded by 270,000 users. Facebook’s policy, which has since changed, allowed Kogan to also collect data including names, home towns, religious affiliations and likes on all of the Facebook “friends” of those users. Kogan shared that data with Cambridge Analytica for its growing database on American voters. Robert Mercer is a multibillionaire who worked for IBM as a computer scientist and made his money in revolutionary breakthroughs in disciplines called language processing. His contributions included, speech recognition systems, text-to-speech synthesizers, automated voice response systems, web search engines, text editors, and language instruction materials to name a few. For you techies out there, you know that these technologies require very complex algorithms and logic circuits and are currently used in our cell phones and other digital devices. 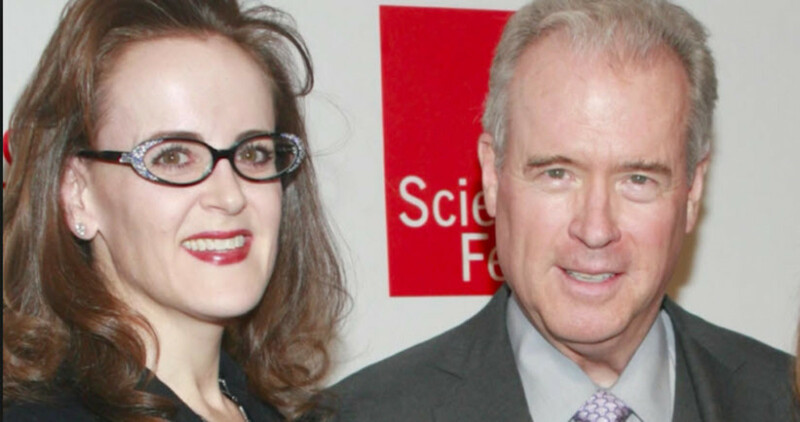 Robert Mercer and his daughter Rebeckah hate the Clintons with a passion, for whatever reasons. They are not in the public limelight and mainly operate behind the scenes while funding conservative entities and interests. They have, hedge funds that have yielded billions of dollars for which they funded many enterprises including Steve Bannon's funding of 10 million for Breitbart News. Mercer was Trump’s single biggest donor. Mercer started backing Ted Cruz and Ben Carson campaign while using CA, but when they fell out of the presidential race he put 13.5 million into the Trump campaign. He also funded CA for an additional 10 million. Alexander Nix is the CEO of CA who recently was suspended due to impending ethics violations. Using Kosinki’s model, Nix claims it can predict the personality of every single adult in the United States of America. According to Nix, CA's marketing is based on a combination of three elements: behavioral science using the OCEAN Model, Big Data analysis, and ad targeting. Ad targeting is personalized advertising, aligned as accurately as possible to the personality of an individual consumer. It is important to understand the difference between demographic based marketing and psychometric based marketing. Demographic marketing targets groups of people based on where they live and their likes and dislikes. It has been the marketing technique of choice until psychometric came to the forefront. Psychometric based marketing can micro-target individuals based on their likes. dislikes, and personality profile. They can even tailor different messages to different people living in the same community, or even a next door neighbor. During the Trump campaign, CA armed canvassers who went door-to-door with phone apps that gave them the information they needed to influence voters based on their profile and home address. This methodology looks quite similar to the one that Michal Kosinski once developed. Nix claims, "We have profiled the personality of every adult in the United States of America, that is 220 million people,"
The following video is an excerpt from a presentation that Nix made at the Concordia Summit. It is 11 minutes long, but it is worth every minute of it to understand what psychometric targeting can provide. Note: Psychographics is another name for psychometrics. CA has been under scrutiny in special counsel Robert Mueller’s investigation of possible Russian interference in the 2016 US presidential election. Nix contacted Julian Assange of WikiLeaks that summer to discuss hacked Democratic emails. CA has obtained 87 million profiles from Facebook. This was not only from Facebook members primary accounts, but from friends accounts as well, without the friends having any knowledge that their profiles were being used by CA. This was accomplished by Kogan’s app, called “thisismydigitallife,” It was a personality quiz that Facebook users could take. However, to take the quiz, users had to consent to give the app access to their and their friends’ Facebook profiles. Steve Bannon and Robert Mercer are under investigation and Michael Nix has been suspended as the CEO of CA. Mark Zukerberg, CEO of Facebook will testify to a congressional committee on April 11, 2018. Chris Wylie was the Director of Research at CA and has the natural ability to work with big data sets, algorithms, and and analysis. Don't let the pink hair in his photo below fool you. He is very talented at what he does and thank God, he has a conscience. Prior to the run-up of Trump's campaign, Steve Bannon was looking for ways to persuade voters to advance his nationalist, anti-establishment, ultra-right wing agenda. 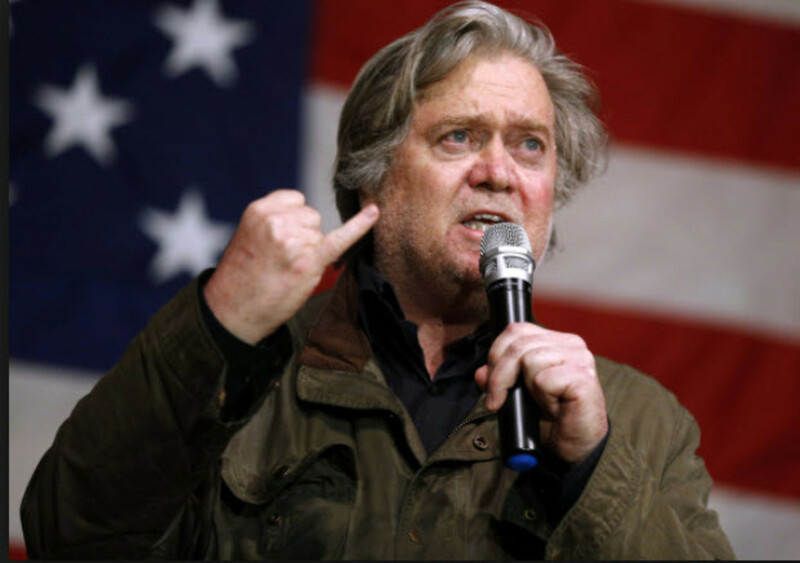 According to Wylie, Bannon was using psychometric targeting to see what messages resonated with young, white American voters with a conservative bent. He found that "Make America Great Again, America First, Drain the Swamp, and Deep State" were some of the terms they could relate to and influence their vote. They also responded positively to "build a wall" to keep immigrants from entering the country. 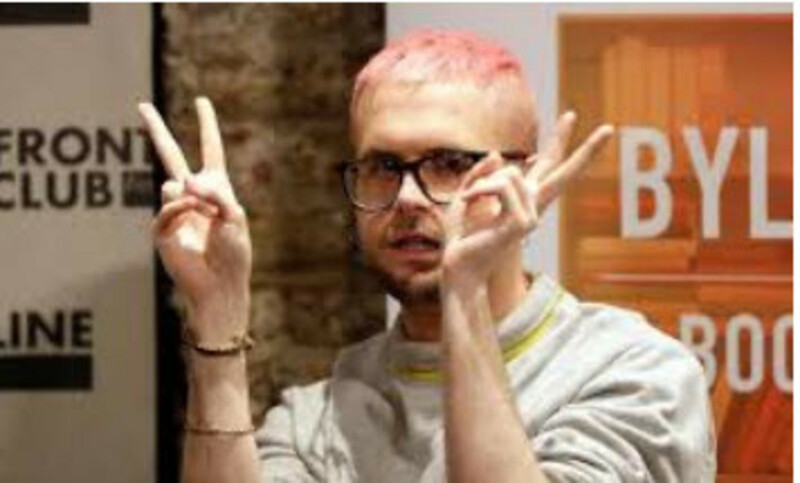 As part of a Federal Trade Commission investigation and a UK parliamentary select committee hearing, Wylie stated, he was aware of how Kogan's app used Facebook data to not only obtain the profiles of primary users, but also of their friends, without the friends even knowing that their data was being used to micro target them. The FTC is continuing their investigation based on CA knowingly breaching Facebook users privacy and that CA is a foreign company interfering in our election process. Currently, Michael Kosinski is an Assistant Professor at Stanford Graduate School of Business. He holds a PhD in Psychology from University of Cambridge, an MPhil in Psychometrics, and a MS in Social Psychology. He never accepted the 500K from SCL. Currently, Dr David Stillwell is Deputy Director of The Psychometrics Centre at the University of Cambridge.He never accepted the 500K from SCL. Alexander Nix has been suspended from his role as the CEO of CA. Aleksander Kogan has been banned from Facebook and is back in London. He feels he has been setup as the scapegoat of the investigation. Steve Bannon has been banned from Breitbart News and is using psychometric targeting to influence the behavior and culture of foreign entities. Chris Wylie has been banned from Facebook. After writing this piece, I realized psychometric targeting is such a powerful tool to influence people in a different directions, that it can be used for good as well as bad. From my research I have found the jury is still out on whether it is effective as a tool to influence people's thinking. According to Alexander Nix, it is very powerful tool. According to others experts in the field, it is nothing more than hype. There is no hard evidence that Trump won the election solely based on psychometric targeting. However, he does conduct his rallies in political arenas where psychometric targeting was used. Now that you have an understanding of psychometric targeting, do you think it is ethical to use it to influence the outcome of elections? Do you think Trump or his opponents would use it in the next election? Do you think that psychometric targeting can be used as a psych ops weapon to change the culture and behavior of foreign entities? Don: Thanks for stopping by. It sounds like you have a great job. I agree with you about what they can get from databases today. Thanks Mike. This was clearly well researched. I'm always pleased to learn a bit. In my current job. I help train AI to use consumer data for marketing purposes (not political at all). It's almost surreal what AI can glean from user-generated data. Here is the latest:Chris Wylie the Whistle Blower testifies before the U.S. Senate. Cathrine: Thank you so much for your comments. I'm still waiting for the indictments of Aleksander Kogan and Alexander Nix for being foreign entities influencing the outcome of Amercan elections. Steve Bannon has flown the coop, but I'm hoping they catch up with him. I think he may be in Europe planning his comeback. I agree with your last sentence. Right now we have Sean Hannity as the Minister of Propaganda. He and Trump are playing to their base for re-election of the glorious leader. You have done a wonderful job with this. You have put all of the pieces together for me. Psychometric testing reminds me of atomic energy--it can be a transformative force for good, but it seems all good technologies are quickly seized by evil people and used as a transformative force for evil. In your poll, I said all candidates will use these techniques in future elections because as the saying goes, "you can't put the toothpaste back into the tube." We will all have to learn how to identify propaganda and our own biases if democracy is to survive. Paula: Good to hear from you again. No, I'm not the creator. It was sent to me and I appreciated the truth to it. Just wanted to share it. That Robo truck blows my mind! How is the government a monopoly based on that definition? George Bush passed the Patriot Act and he is a conservative. What does that have to do with liberals? If the liberals don't have any idea of what they are getting into, so do the conservatives. Paul Ryan is leaving because of the impending mess we are all going to get into. The new deficit in 2020 will be over a trillion dollars and he will be retired. There are going to be huge cuts to medicare, thanks to Trump and Paul Ryan's tax reform. That is why we have anti Monopoly laws, so that no one company can be so big, and too big to fail..., too big to know everything about us, but wait... the government is already a monopoly. Why do we want to give them more power and more tax revenues? The liberals have no idea what they are getting into? Paula: Point well taken. If you created that dialog, I'm really impressed. Here is truck that will make your pizza while it is being delivered. Not only that but it knows what kind of pizza you might order, because it is stored in its database from your previous orders. Thanks for stopping by. So your comment is closer to truth than we would like to believe. CALLER: OK.. I would like to order a pizza. By Jack. I hope I have been able to shed some light for you. Jack: You are right about Syria being around for a long time. A three-way civil war has been going on since the time of Mohammad in the middle east. There are three main sects who have hated each other since that time. They are the Shia, Sunni, and Kurds. They all have their own ideology as to who should lead the nation of Islam. They don't pay attention to borders that were drawn up by the British and French after WWI. They pay allegiance to their religious sects. That's why Syria is killing its own people because they are living in country that is defined by borders not their religious affiliations. The news media is doing all of us a huge disservice by calling them rebels and opposing forces. It blurs the line as to what is really going on. That's why we should not jump into the middle of a three-way civil war. The refugee crisis is not our making. The middle east created their own refugees. You are blaming the other side, but this has been going on way before Obama, Clinton, and Powell. I will bid you farewell. Have a nice day. Jack: You see we are tribal based on how we are fed and perceive our information. From my perspective,your tribe is much better than our tribe at attacking us and influencing your own people. But it is sad that we all can't be members of the same tribe. The only way that happens is if there is a direct threat to both tribes, like a war that controls our land mass. Then we all become patriotic. That's why presidents like wars. 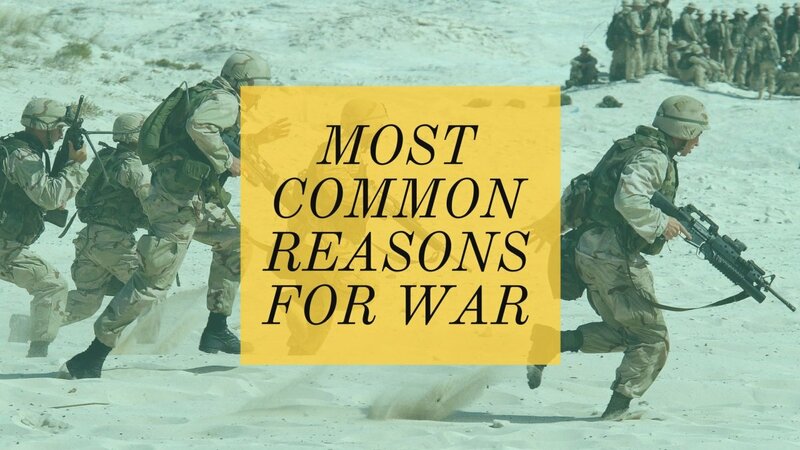 Our wars today are abstract and asymmetrical and even include cyber attacks. The refuge crisis is our making. BitCast: Thank you for your comments. SCL and CA are both London based companies. I'm sure they are still operational. I am pretty sure the data used by CA are still in circulation somewhere out there. I will donate my personal data for a good cause to counteract psychometric targeting by other campaigns that I do not agree with. Jack: You need to understand Bashar Al Assad is a special kind of Shia. His people are a different kind of Shia them him. He is committing genocide on his own people because he hates them. Iran are the same types of Shia as Assad's people. Putin is helping Assad kill his people by bombing with Russian aircraft. Putin has just said if we attack Assaad, there will be consequences for the U.S. If we attack Assad, we have to deal with Iran as well. This was going on since Obama's time and now Trump will have to face the same situation. Do we want to enter a civil war where Russia is helping Assad kill his own people and who are the same type of Shia as Iran? Trump is nothing but all bluster. You will see. When he sent cruise missiles to bomb Putin's aircraft, they were operational the next day. Trump is between a rock and a hard place, he just doesn't know it yet. It is a real foreign policy shift on the part of the US from Bush to Obama. Let me give you an example. When Assad use chemical weapons on its people, they crossed the red line that Obama drew. Either we hold them to it or we don’t. Obama choose to let the UN and the Europeans do the talking. That is leading from behind. When dealing with the growing threat of ISIS, Obama choose to not listen to his generals who advised him to bomb the convoy... Instead, he called them a JV team and minimized their threat. After ISIS took over some cities in Iraq, it was too late to kill them. Another example of leading from behind instead of taking the lead and doing the right thing. The current Syrian refuge crisis is a direct result of Obama’s failure. You and I do live in different realities. Only one of us can be right. Either Obama was a great president or he is not? Either the illegal immigration crisis is real or it is not? Either Trump is a racist or he is not? Either the economy was good under Obama or it was not? Either Climate change is the greatest threat to humans or it is not? Either the main stream media is fair and balanced or it is not? Jack: When he Obama took over from Bush, he inherited a country that was in a recession because of a financial melt down. He brought us out of that and created jobs, ended the war in Iraq, Recapitalized Banks; Tightened Sanctions on Iran; took out Osama Bin Laden; Toppled Moammar Gaddafi: Boosted Fuel Efficiency Standards: Improved school nutrition. Jack: I just watched Anderson Cooper on CNN and Tucker Carlson on Fox. Anderson was talking about the FBI raid on Michael Cohen's apartment by the FBI for possible bank fraud and Tucker was talking about how can we allow transgender people in marathons. That is the difference Jack. They are two separate realities. Trump gets his information from Sean Hannity. Trump is sending the national guard to the border because of what Hannity told him about the caravans from Honduras. He doesn't have a plan. It is just an impulse. Those phrases ring true to you and other conservatives because they are designed to do that. They don't ring true to me, because how can you lead from behind? The leader is always out front. There is no such thing as the deep state. 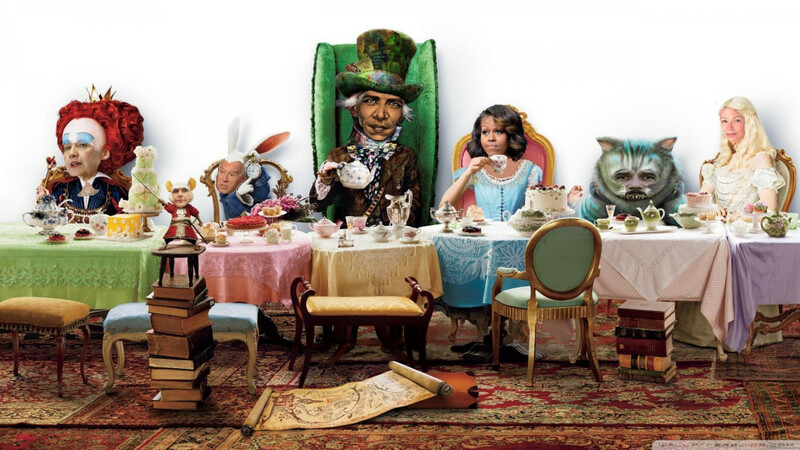 It can't even be proven, but it rings true to conservatives that hate Obama. Don't you get it. Did you look at Frank Luntz's book? Mike, you seem to believe all the problems with the current media and political scene is a creation of Fox news...? I wish Fox was that powerful or influential. The fact is it was the main stream media of NYT, CBS, NBC and ABC that have created this current disarray. They have been so partisan that their own credibility has been destroyed. Fake new may have been a term created by Trump but it has merit and that is why it is sticking. When news outlet does not check their sources and report stories that are wrong and later have to retract...ala Brian Ross... that is the fault of those in the media. The Obama foreign policy of “lead from behind” is an accurate description of his policy. No matter who created it, it rings true. He has been a disaster on the foreign front starting with Benghazi and Syria and Libia and Iran ans North Korea and Russia and China and Israel... where has he succeeded? Jack: I don't know how long you have lived in this country. But I remember when Reagan repealed the Fairness Doctrine. The doctrine specified that radio and TV news outlets had to present opposing views on their programs. There was the Huntley Brinkley report. They would take opposite political positions on the news. There was no 24/7 news cycle. There was "the news hour." After the fairness doctrine was repealed by Reagan, Fox News was created by ultra-right wing conservative Rupert Murdoch. He lived in Australia and owned many news outlets. His prime mission was/is to destroy the left wing and that is what Trump would also like to do by calling MSM fake news. He wants to control the news by dividing and conquering. He is in the dividing phase now. This is not conspiracy theory. All you have to do is listen. Do you even watch CNN? They have ultra conservative on their programs, like Kellyanne Conway, Jeffrey Lord, and many others. You use phrases like "Obama leads from behind, deep state, and tyranny. These are all words that have been given to Fox News by one Frank Luntz. Just take a look at this link and then do a search for Frank Luntz GOP Playbook. I think you will be surprised to find out where the words that are used by the GOP, Fox, New, and the Trump administration come from and how they are used to influence people. Right now we are tribal and we use different language to describe the same ideology differently. And I said I was able to notice something different about your URL because my job required research and analysis and that is the truth, it does. You are the one who tied it to academia, not me. You are so quick to accuse me and every liberal that you confront of being a liar that you don't even remember what you said. I told you just because it was not listed in my profile, does not mean I don't use it. Anyway, you can see that it is used, just not in the academic sense. That does not make me a liar. You hate liberals and will try to accuse them of anything and everything. There is no compromise and middle of the road with you. So in your eyes, not only am I a liar, but I twist everything I say. I still think you need to grow up. As usual PP, I have no idea what you are talking about, you as usual have once again put words in my mouth by twisting what I said into something I never said. That is always what you do when you are criticized, it's nothing but raising a hand straw man then you argue against it, a lie. Please show me where I ever said "technical writers don't do research and analysis" I never said that, you will not find a quote from me anywhere like that, as a matter of fact I said and I quote " You need to research and analyze anything in any academic job but that does not qualify you as having a job in research and analysis." And that whole discussion had nothing to do with whether you did research but the reason. and why you even brought it up which as I pointed out in that discussion was to exercise some sort of bonafides that you aren't dishonest, which I had already demonstrated on several occasions that you are. TSAD: Welcome back. I think you meant to say idiotic phrase, instead of idiomatic phrase. I have a bone to pick with you. You said technical writers don't do research and analysis. I have news for you, I used research and analysis on this article you are commenting on with your inane comments. I forgot, I wrote this article back in 2013. It's everything you wanted to know about technical writing but were afraid to ask. Please read it. You might learn something. Also please read the viewers comments. Sorry for the miss spelling of name. Not intentional. I am just one americsn trying to educate my fellow countrymen. They are cheerleaders and that is a formula for disaster. The ratings and approval rating of the media is all time low. You can continue your analysis from afar but we here are dealing with the real effects of Trump. Great way not to win an argument, Jack. Just change the subject completely, why don't you? And by the way, I'm not bragging. Notice it was me that brought up the subject of fraud and manipulation in the Brexit vote via Cambridge Analytica, not you as it seemed you weren't aware of the dynamics, and surprise surprise, facts of how it all occurred. I lived in Texas long enough to know how much to do with America Alex Jones is and how he had ratings during the 2016 election that were approaching or exceeding all of the MSM combined. So yeah, real fringe group that Fox News lifted their MO from almost exactly over the last few years. You seem clueless about your own country and you seem to think others are too. Seems you can't stay on topic either. I would stay longer to pull apart every argument you have but I think people will see enough in this thread to make their own judgments about how solid each of our standpoints are. Bye bye for now. Oh, and it's Bueno, not Bruno, you know?! Mr. Bruno, I see from your profile you are in the UK. Your country’s checkered past in elections are nothing to brag about. You seem to also have an obsession about Alex Jones which is a fringe group. It has little to do with America. This conspiracy theory is beyond the pale. The whole Russian collusion would not see the light of day if Trump was not elected president. Russia has been meddling in elections around the globe and Obama admin. down played it. You can find video of him speaking in his own words, no Fox spin. Also, the CA affair only became big news when Steve Bannon was connected. When FB and Google was using their social media influence to help Obama, it was cheered as the new way of doing things...give me a break. Another funny one Jack. This CA thing goes to the whole heart of things and you are using your endless circular arguments to distract from it yourself. Stop asking hypotheticals, blaming others and start dealing with what is. But to answer your question, yes, because CA came up as an issue in the first instance not because of Trump but because of possible manipulation and fraud in the Brexit vote, so Trump would have surely have been implicated because of the Bannon and Mercer link. Absolutely no question. After giving the info to British parliament, Christopher Wylie then agreed to help U.S. investigators when asked. I am glad you find it funny. That is the state of the US. Our people are clueless and the Democrats and GOP leaders in Congress wants to keep it that way. Why do you think Trump, an outsider, was elected in 2016? This CA is just another distraction. To proof my point, answer this question? Honestly if you can? If Hillary was elected president, do you think this whole Russian collusion and CA FB data breach will be headline news? That is just hilarious. It is why the whole world is laughing at America. Now, off your circular argument soapbox and back to Cambridge Analytica if you can manage it. But the useful idiots are on the democrat sides.... they are mostly anti capitalism, anti Constitution, and anti American in the world stage. They along with the media, the academia, and Hollywood, have created this mess. It was only with the advent of Fox News and talk radio that exposed this hypocrisy. Yes, Fox is conservative for the most part but that is just the point, most or 40% of Americans are conservative. The 25% livberals have copted their party and took it way left and elected Barack Obama. Trump being president was the reaction to a failed Obama administration of lead from behind...and huge debt. Some of us have known that most of what has passed as "mainstream news" has been been mostly utter nonsense and propaganda - forever. We didn't need Fox News to tell us who was lying and we certainly didn't need Fox News, Infowars, Breitbart, Cambridge Analytica - via dark ads on Facebook - or whoever, to tell us that and once we had sussed the lies we would then then get caught hook line and sinker by even bigger nonsense and lies being portrayed as truth as those outlets (Fox News, Infowars, Breitbart, Cambridge Analytica via dark ads on Facebook or whoever) had realised that many people couldn't think for themselves, or fact check, so they would replace the mainstream bullsh*t with an even bigger set of far more dangerous narratives, lies and propaganda. That some of the big three are fighting back against Trump and his sickly coterie is of some solace, however, those with brains are well aware that once the back of Trump is seen, the overwhelming likelihood is that those Democrat politicians will be back in bed with big business and the military-intelligence-industrial complex again rather than standing up for the people they should be. It's the way of the world Jack, the lesser of two unfortunate evils. Only an idiot would believe the lions share of what either side have to say. And only an idiot would take at face value a post or an ad they see on Facebook without checking the facts - that's what Cambridge Analytica were banking on. They were targetting the idiots who are easily duped and the easily scared. That's the way authoritarians always win. They don't empower the people, the scare and confuse them. Jack, it's called Fox Derangement Syndrome, an idiomatic phrase used to refer to wildly exaggerated overreaction to the news, opinion shows, and very existence of the Fox News Channel, and you nailed it. It is funny how you single out Fox news and yet the reason they are successful is that the other media sources has been corrupt and biased to the core. They have engaged in selective reporting for years and have helped Democrats and started with Bill Clinton...an probably even before that. The big 3 networks were always liberal and just hid it better then. Now it is open season. If you have that much information that you have illegally acquired you can do some serious damage to democracy if you wish to do so and it can without doubt be used to sway peoples opinions. You only need to look at the damage Murdoch companies such as Fox News have done to the dialogue of truth, to realise that people can be manipulated with a far smaller demographic than was allegedly the case with Cambridge Analytica. Fox and similar companies are welcome to their own opinions, but they cannot have their own facts - although many of their viewers don't realise or understand that. Truth is not affected by peoples ability to believe. 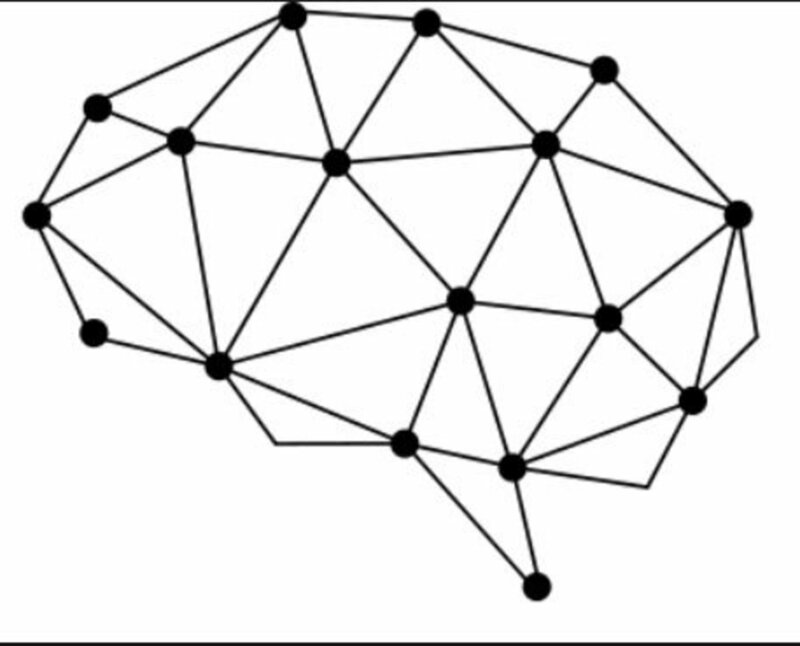 The case of Cambridge Analytica appears on the face of it to be a dark brainwashing program of epic proportions and if people don't have the ability to check facts properly they are wide open to the consequences. Clue: Watching Fox News isn't fact checking. I have been following many strange occurrences in the sphere of social media since 2014 and have made a number of artworks and written a number of articles documenting the fact. What I'd like to concentrate on here though are two facts that could easily stretch into another article. 1. Added to the (at minimum) 87 million user details that Facebook gave to CA, they also gave the details of 57 billion "friendship" connections of these 87 million-plus users - this would be by far the most powerful information CA received and it would really negate the need for much "psychometric analysis." 2. When given the option to be unleashed on elections in countries with less oversight than in the West, CA was willing (as observed in the Channel 4 interview) to go beyond the pale and use the most nefarious and dastardly techniques possible to sway election results for their clients. Witness what CA are alleged to have done with the Nigerian election where "Cambridge Analytica sought to influence the Nigerian presidential election in 2015 by using graphically violent imagery to portray a candidate as a supporter of sharia law who would brutally suppress dissenters." Conclusion: The likelihood is that while Cambridge Analytica projected a veneer of scientific respectability, all they actually were/are is a bunch of grifters and criminals with a few good sneaky and dangerous ideas and a Mount Everest of data gained by underhand tactics. Much like most other data companies out there, although they were willing to take things much, much further than most others had attempted or dared. In my experience of data companies most will try to bamboozle you with business bingo bulls**t and convince you they have a groundbreaking scientific approach when all they really have is data with a few more relevant data points than others. As for CA deleting the data, once they had the info, it could have easily have been overlayed with other existing data and appended to hide the source. This is common practice in data companies who offer to "cleanse" other companies data, although they won't tell you as much. If CA had access to 57 billion friendship data points coupled with a willingness to overstep the bounds of ethical campaigning there is no doubt they could have swung any number of elections for their clients. The data industry is dirty and over the coming months I would not be surprised if the world belatedly realizes how dirty and dangerous it really is. TSAD: Nice try, but with Trump it's after fact. They suspended the firm just about a week ago. Trump has been in office for over a year. If you read my article, you would understand, that it was not just Facebook. They used a questionnaire that was use to determine the personality profile of 270,000 people which resulted in targeting 87 million Facebook users. Jack: Good for you Jack: You are one person. They accessed the accounts of more than 87 million people. Mike, so I took the test and I agree for the most part the summary assessment about me. However, I am not convinced that information could be used by anyone to target me and influnce me in an electoon. I generally follow national elections closely and get my news from various sources and medium...and I make up my own mind. Jack: I read the article. The difference is that Obama and his campaign people controlled the narrative. He used social media like a club and his supporters were members of the club. In the case of Trump, he hired CA to harvest vast amounts of data from 270,00 Facebook users including their friends without the friends knowledge. By connecting their likes and dislikes with questionnaires that gave them a psychological profile of each of the people, so t they could determine what moved them emotionally. For example if a person was very neurotic and wanted to control their domain that meant there was a good chance they were a gun owner. Therefore , they knew how to play to the fear of that person and targeted ads that were against gun control. Did you even read my article? Jack, now you did it, prepare to go down the rabbit hole. Newsflash Obama did the same thing and he is already there! Jack: Yes, but how did they use social media? More than likely, they used demographic targeting that directs the same ad to groups of people CA uses psychometric micro-targeting to bring the ads to individual voters tailored to each voters values and beliefs. That is what makes it so powerful. From their analysis, they know what resonates with each individual to influence their vote. Thanks for a detailed explanation of this complex issue. The question I have is how is this any different than what President Obama and his team did back in 2008? They were boasting of how they used social media to reach a bunch of new voters...and won the election for Obama.